UK-based illustrator Pete Duffield started dating his girlfriend, Kellie, seven years ago. Since then, he’s been chronicling their lives together through a comic series on Instagram called ‘Kellie and Pete’. Three years ago, their daughter, Poppy, came along, making it all the more worthwhile for Duffield to illustrate their sweet, honest, and sometimes really crude moments of their life as a family. Sometimes, the most spontaneous moments can have the most lasting impacts, as these drawings will show you. 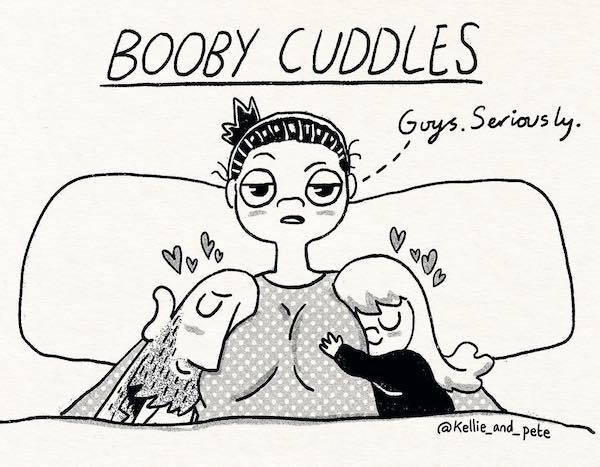 Have a glimpse of the life shared between Kellie, Pete, and Poppy, and check out their full comic series over at their Instagram. If the illustrations strike a chord with you, you can also purchase Duffield’s art prints here.